A portal to the movement for Breton self-determination. If things aren't turned around our future will be nothing but the memory of a people that once existed, a memory of a society that, little by little, went to nothing amongst the great sameness. So it will happen to Brittany that which has happened to Cornwall, swallowed as it was by London, despite the fact that later the people voted the strongest for Brexit, why so? Ma ne vo ket cheñchet penn d'ar vazh e vo hon dazont nemet memor ur bobl bet bev, memor ur gevredigezh aet tamm-ha-tamm da get e-touez an heñvelded meur. 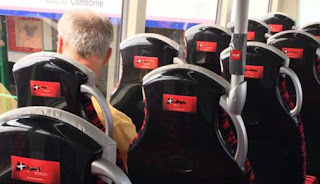 C'hoarvezout a rayo gant Breizh pezh a zo c'hoarvezet gant Kerne-Veur a zo be lonket gant Londrez en desped d'an dud o dues votet, war-lerc'h, ar muiañ evit ar Brexit, perak 'ta ? The above is translated from the Breton original which can be found in the opinion piece written by GG Gwen in issue 713 of the Breton language newspaper Ya ! It is one example of what can be read about Cornwall in Breton media / social media at the current time. The thinking is along the lines of: Cornwall is dead - totally absorbed by greater London - nothing but a Celtic fossil - only of use and consideration as a warning for Brittany to change its ways. Some academics, in the very laudable effort to discuss the future of Brittany, have even gone so far as to coin the term Cornwallisation to describe the death of traditional Breton culture. Take the below as an example which can be found in Le Peuple Breton. There verdict is severe: " a process of 'cornwallisation' is in operation, a neologism used to describe the change suffered by that British region henceforth integrated into the catchment area of greater London and which has lost its original identity. Without a rapid reaction regarding this change, Brittany, as a distinct entity, will also be dissolved. Leur verdict est sévère : « Un processus de « cornouaillisation » est à l’œuvre , néologisme utilisé pour décrire l’évolution subie par cette région britannique désormais intégrée au bassin du grand Londres et qui a perdu son identité originale. Sans réaction rapide à cette évolution, la Bretagne se diluera aussi en tant qu’entité particulière ». Have any of our Breton 'friends' seen fit to write anything anywhere criticising this insulting use of the name of our country? Some time ago, I posted about this situation on the Brenow Facebook page, a place dedicated to promoting links between Brittany and Cornwall. Have any of our Cornish academics or leading lights of the Cornish movement made the slightest effort to defend our honour? It's not much but I'll be cancelling my subscription to Ya ! and the Peuple Breton won't be picking up the relay. I'd advise anybody who cares to do the same and explain why. Towards a Euroregion Brittany and Wales. Room for Cornwall? Vers une Eurorégion Bretagne et Pays de Galles: Le Premier ministre gallois, Carwyn Jones, sera à Lorient le lundi 6 août, durant l’Interceltique. Il nous parle du Brexit et de la création d’une Eurorégion, espace commun de coopération. Sorosoro is a program that contributes to the safeguard of endangered languages across the globe. The website offers videos, maps and written information. His revolutionary and libertarian ideals led him to be interested in the political experiment in Rojava, and then to join the Kurdish forces and their allies (Arabs, Yezhidis etc). He shared with them their anti-imperialist, anti-fascist, anti-sexist, ecological stances and support for libertarian municipalism, respecting the right for all peoples to master their own destinies. 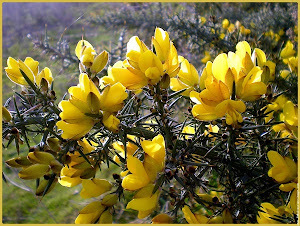 Stourm ar Brezhoneg (English version) from Hugo Massa on Vimeo. A documentary on some of the grassroots initiatives that keeps the Breton language and culture alive in Northern Finistere. Entirely directed and produced by Hugo Massa. "Stourm ar Brezhoneg - The Struggle for The Breton Language" highlights the daily fight of independent citizens and community-based organizations for the saving of the linguistic heritage of Brittany. The usage of Breton has declined for the past 200 years, as have the other minority languages in France. 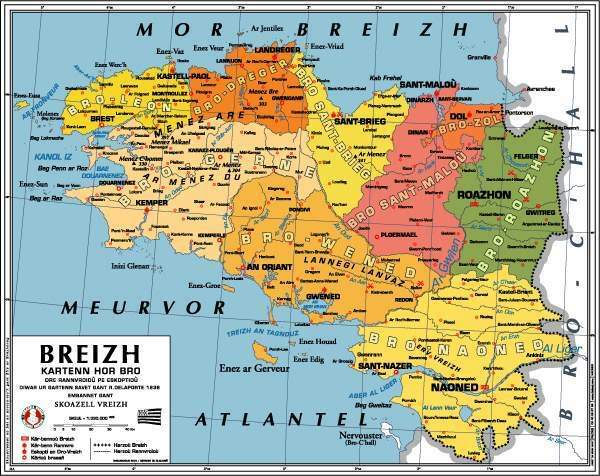 The total population of Breton speakers has been divided by ten since the last century. Its decline stands among the fastest in France. The common memory of the repression of the language, mainly led by the public schools of the French Republic, reminds us the relative recentness of the imposition of French as the sole and unique national language. After having exposed some of the reasons that explain the decline of the language - including the acceptation by the Breton speakers of the "worthlessness" of their language under cultural an economic pressures - the film reviews some of the meaningful characters and community initiatives that have participated, since the 1970s, to the revival of the language. These characters from the Northern Breton region of Finister all share the pride of having contributed to the renewal of the family transmission of the language and to the reversal of the Breton "negative identity". Through this case, the film aims to demonstrates the possibilities of creative community organization and mobilization around issues relating to the intangible heritage in jeopardy. An article here in the Breton language newspaper Ya! 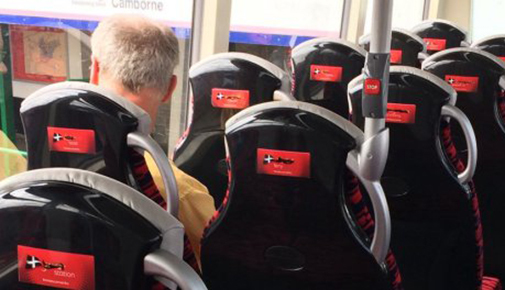 concerning the vandalism of Cornish language phrases on buses in Kernow. Action GIR 44=BZH - 29/01/2010 envoyé par GIR-breizhunvan . - L'info internationale vidéo. A weekly ferry route between Cornwall and Brittany? As a sub blog of the An Omsav blog this site aims to be a portal to the Breton movement for self-determination and cultural rights. To the right is a list of Breton far-right organisations and sites. These groups have well documented links to neo-Nazis, fascists and violent criminals around Europe. After careful consideration it has been decided to include them here following the logic of the wise adage forewarned is forearmed. The blog author has discovered the true nature of these groups. It is now hoped that others who follow can benefit from these insights. Paths that are not worth following are here signposted as such. These groups undermine the cause of Breton national recognition and self-determination. Their ideology belongs in a different age. Help them become history and steer well clear!